Beaumont Felons Try to Evade Corrigan Police and Get Caught, CORRIGAN, July 2, 2013 - At around 4 pm on July 1, 2013, Officer Dana Vanya with Corrigan Police Department attempted to initiate a traffic stop on a speeding gray Ford Escape that was east-bound on FM-287 East. 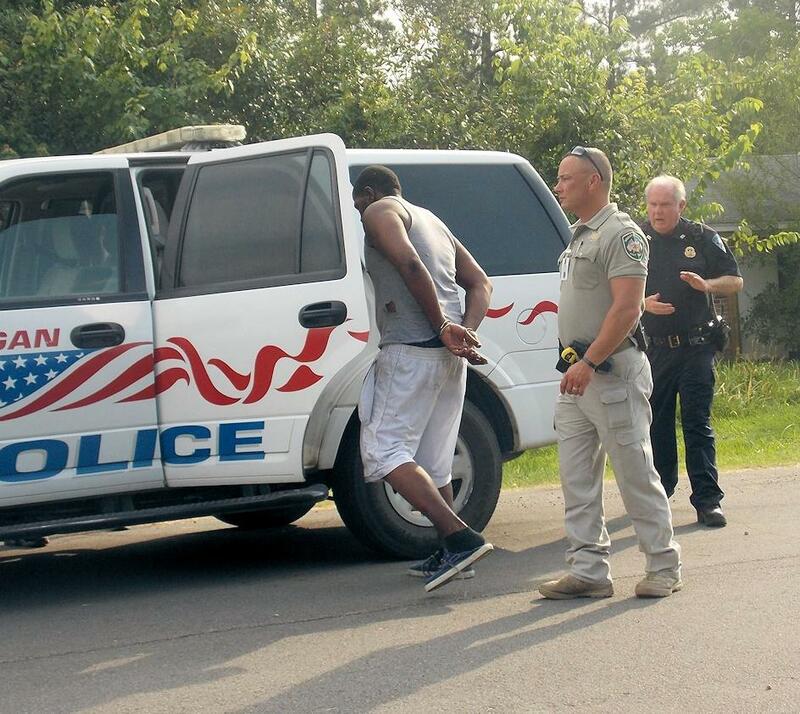 The vehicle was occupied by three felons from Beaumont. The vehicle left the road to the left and slid to a stop in the grass. The occupants then jumped out of the vehicle and fled on foot into the subdivision of Rayburn Hills. Officer Vanya was quickly backed up by Corrigan Police Chief, Darrell Gibson and other officers from Corrigan, Deputies from the Polk County Sheriff's Office, and Trooper Allen Stanton with the Texas Highway Patrol. 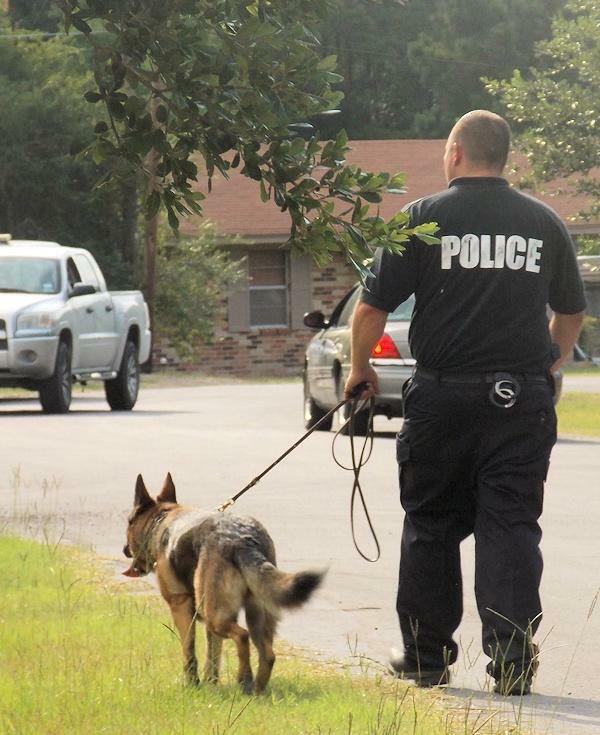 Two of the suspects were apprehended in less than 2 hours (one was found hiding in a storage facility, the other was caught by Chief Gibson, Officer Leigh (canine), Officer James Hight, and Polk County Sheriff Chief Deputy, Byron Lyons), a third suspect remains at large. The suspects vehicle was chock full of stolen firearms including rifles and a pistol and stolen televisions. The two suspects that were taken into custody were 24 year old Bradison Mims, and 22 year old Raymond Robinson (both of Beaumont). All three of the suspects are felons. Corrigan PD are charging Mims and Robinson with evasion and unlawful possession of firearms by felons (both are felony charges). The third suspect is also believed to be a felon and is being sought by police. Bradison Mims and Raymond Robinson are also facing burglary charges out of Trinity County and Angelina County and other possible charges. 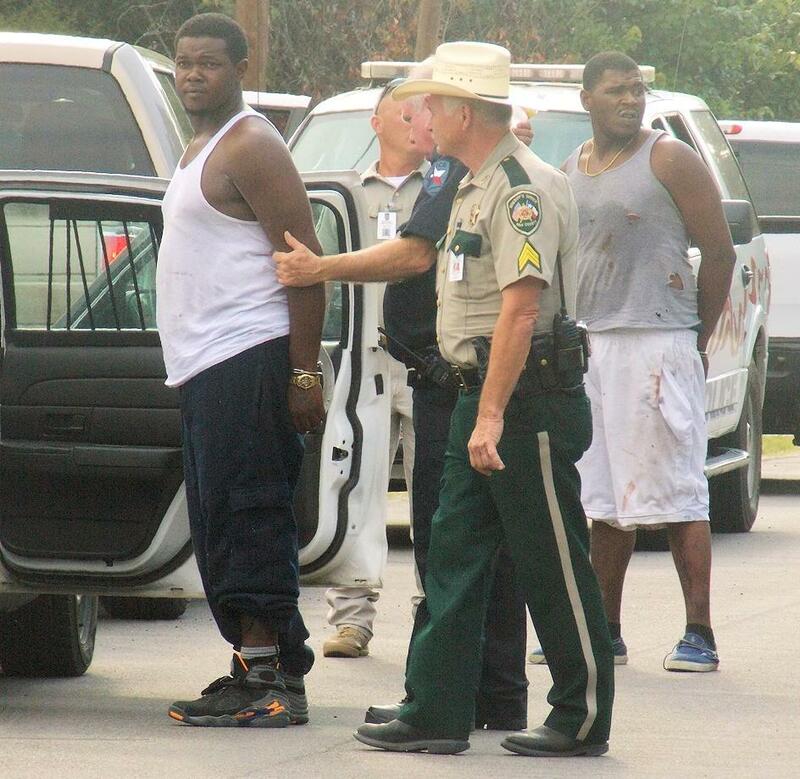 Mims and Robinson were transported to Polk County Jail.